The state’s education commissioner Mary Ellen Elia, says she’s not pleased with Governor Andrew Cuomo’s proposal to spend just half of the amount of new money on public schools that education experts in New York recommend. Elia spoke Wednesday at a joint legislative budget hearing at the state Capitol. 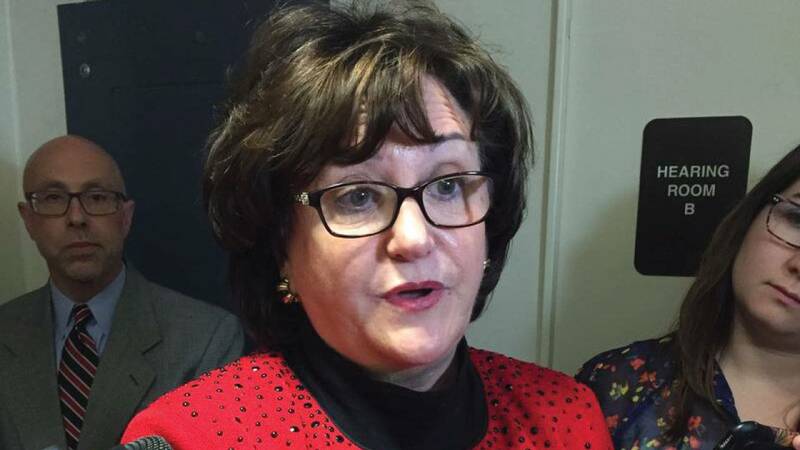 Commissioner Elia, along with the State Board of Regents, recommends that New York spend an additional $4 billion dollars over the next three years on the state’s neediest schools, beginning with $1.6 billion more this year. The amount matches what education funding advocates and many members of the legislature believe is necessary to fulfill a 12-year-old order from the state’s highest court that said the state was not fulfilling a constitutional mandate to offer every child a “sound basic” education. Governor Cuomo is recommending a significantly smaller amount for schools, just under one billion dollars, and limiting his proposal to just one year. Elia was reluctant to criticize governor Cuomo directly and tried to be diplomatic about the differences in the spending recommendations, but she was pressed by freshman Senator John Liu, a Democrat. “It’s ok to say you are not happy with the executive budget,” Liu said. “OK, Let me say to you we are not happy because this is substantially lower than our number,” Elia answered. Commissioner Elia does not work directly for the governor, her position is filled by the state Board of Regents. Regents are elected by the state legislature. Governor Cuomo has said repeatedly that simply spending more money is not the answer to improving the state’s poorest schools. And he has also said, in recent speeches, that he thinks the court order, which stems from the Campaign for Fiscal Equity case, has long been settled and that policymakers should move on. Senator Liu tried to draw Commissioner Elia out on her views of the governor’s comments, but Elia refused to stray from her message. “Do you believe in ghosts?” Liu asked. Elia paused for a moment, then went on to reiterate her support for the school aid proposal by the commissioner and Regents Chancellor Betty Rosa over the governor’s plan. Senator Robert Jackson, who, like Liu, is also serving his first term as a Senator, was one of the plaintiffs in the Campaign for Fiscal Equity lawsuit in 1993, when he was President of his local community school board in New York City. During his time to question commissioner Elia, he also took issue with the governor’s remarks. It’s become somewhat of a tradition among governors in New York, both Democrats and Republicans, to propose spending less on schools than lawmakers desire. Legislators, then add money to the local schools in their districts during budget negotiations. This year is complicated, though, by falling tax revenues. Governor Cuomo announced earlier in the week that the state has a $2.3 billion dollar deficit, due to lower than anticipated tax collections.